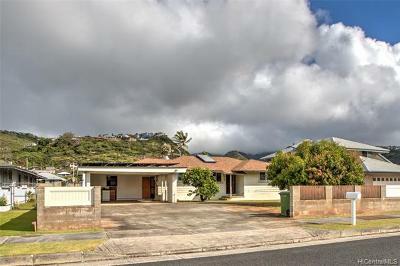 This neighborhood is located between Wai'alae and Aina Haina, along Kalanianaole highway. 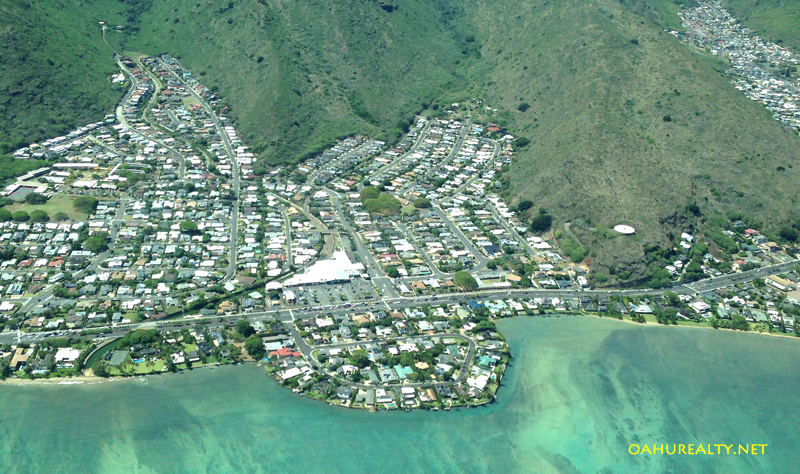 In Hawaiian, Wailupe translates to "kite water." Historians know that Hawaiians enjoyed kites and believe this area was popular for kites because of the steady trade winds. 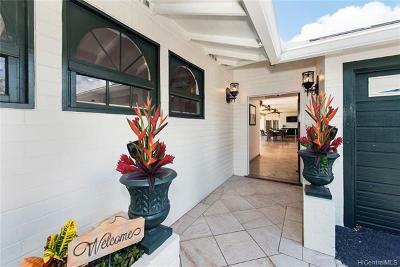 Homes in the neighborhood are generally of 2,000 square feet and higher interior area, and lot sizes are usually at least 10,000 square feet. 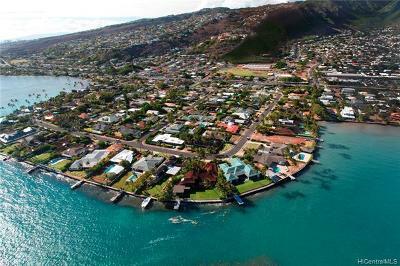 Oceanfront homes along the perimeter of Wailupe Peninsula are more in favor and have larger lots, up to 19,000 square feet. Interior homes are less expensive, still just a short walk away from the beach. Wailupe is popular for fishing and surfing. Coral reefs create surf spots offshore and help calm the waters along the beach. From Honolulu, drive eastbound on the H-1 freeway. The H-1 transitions to Kalanianaole Highway (72) in Kahala, continue eastbound. Wailupe Beach Park will appear on the right. At the next traffic light, turn right to Wailupe Circle. 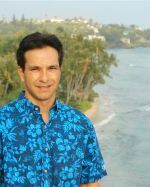 Wailupe has a great surf break just offshore of the peninsula. Another break (see the map above) is located east of the channel, right about where waves can be seen breaking on the lower right corner of the photo (click to satellite view). 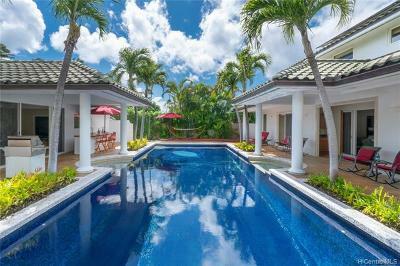 Living at Wailupe brings easy access to secluded surf spots like these.